Our product range includes a wide range of ph meter & tester and digital ph / tds / cond pocket testers. 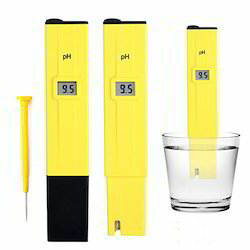 The HI 96107 (pHep) is an economical pH pocket tester with a Range: 0.0 to 14.0 pH, Accuracy: ±0.1 pH and a manual 1 point calibration. The pHep is a combination of an electrode with an LCD where the measurement is displayed. The electrode is protected by a rugged epoxy external body and it is supplied with a cap that can be used as a vessel to perform measurements. HI 96107 (pHep) is supplied with Protective Cap, Calibration Screwdriver, Batteries and Instructions. Pure Water Tester Digital Model : WA - 300, Range : 0 - 1,999 us LUTRON Taiwan Pocket Pure Water Tester Pen Type - Water Resistance, Model : PWA - 301, Range : 0 to 1,990 uS, Hold Record, & Max-Min. 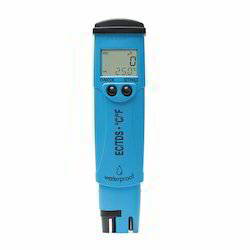 Looking for Ph / Tds / Cond Pocket Testers Digital ?